Given by W.G. Gulland, Esq. The kilns of Jingdezhen in south-east China excelled in the production of a large range of coloured glazes during the 18th century. Some were revivals of ancient techniques, others were new combinations and variations in colour. 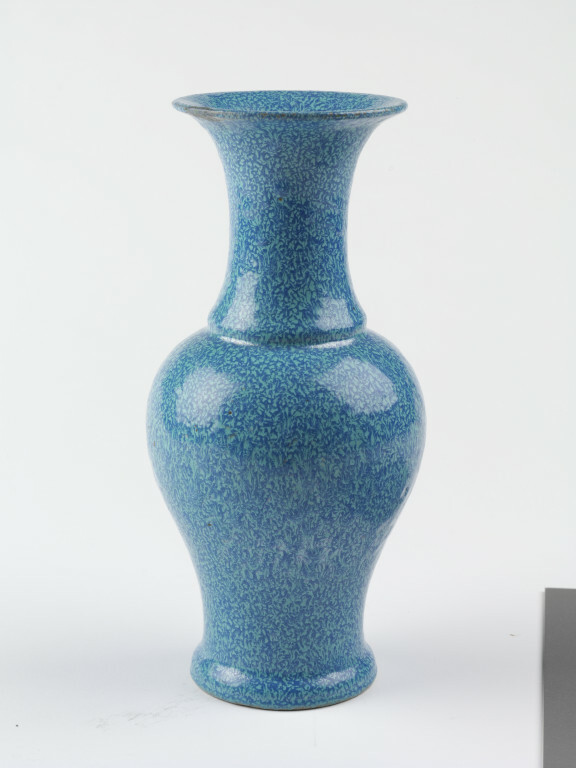 This vase is decorated with an opaque low-fired glaze commonly known as 'Robin's egg', which was produced from copper oxide and opacified with arsenic. The name probably derives from the distinctive freckles on the surface resembling the bird's eggs. 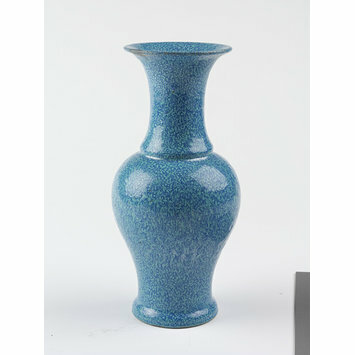 A few examples of glazes with similar mottled effects dated to the Ming dynasty have been found in Jingdezhen, and it is possible that this glaze was a Qing revival of an earlier and very rare experiment. 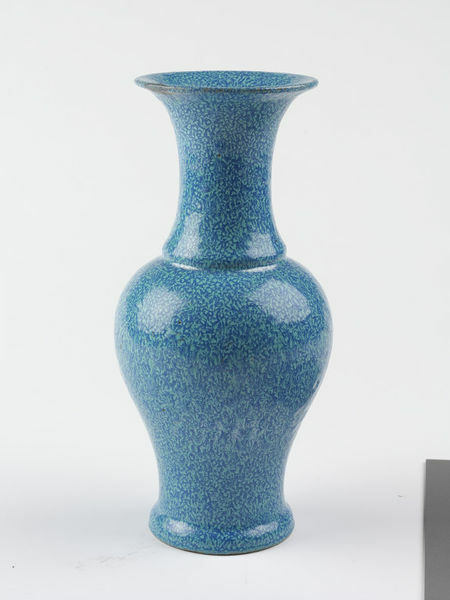 Porcelain vase in baluster form, covered with an opaque turquoise-green glaze with mottled effects.